Any science outside of physics (including “hard sciences” such as biology and chemistry as well as “soft sciences” such as psychology and sociology) sometimes suffer from what has been dubbed “physics envy”—or, the idea that no other science can match the experimental rigor of what physicists have been able to reliably demonstrate. Although few scientists outside of physics would agree with Rutherford, his point was to emphasize the question: What disciplines truly count as a real science, and which ones do not? After all, the pseudoscience of alchemy was—centuries ago—considered to be a real science, but as time passed, the underlining principles became suspect, and it gave way to the real science of chemistry. And during its inception, a debate raged about whether psychology was considered a “true” science. (That debate still rages on currently in some academic circles.) But what few realize is that there has been a long history of experiments in psychology that have helped our understanding from everything including human memory and behavior, obedience to authority, and human emotions. Pavlov’s Dogs – Many first year college students are introduced to Pavlov in their Psych 101 classes, the early Russian psychologist who trained animals to make associations between a stimulus (such as a ringing bell) and a response (such as salivating). Pavlov’s experiments with behaviorism in dogs showed that animals (as well as in some cases humans) can learn to make associations that can change behavior. The Milgram Experiment – Stanly Milgram was working in psychology in the 1970s and became interested in how far humans would go to follow the orders of an authority figure. Working in the decades after WWII, Milgram was fascinated by the Nazi soldiers who followed orders that led to the deaths of millions of people. Through a series of experiments, Milgram showed that a majority of people do, in fact, follow authority to where their actions could harm someone, even if they have ethical concerns about that they are doing. 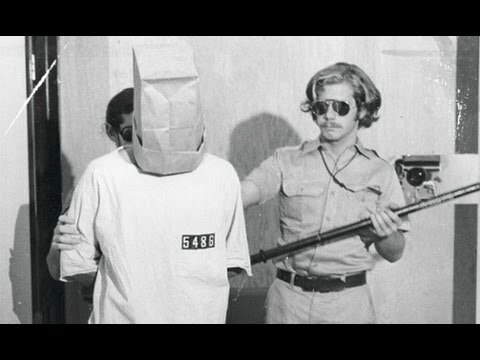 The Stanford Prison Experiment – the well-known psychologist Philip Zimbardo conducted this famous experiment also in the 1970s around the time Milgram (see above) was exploring obedience to authority. Although all of the details of the experiment remain outside the scope of this article, put simply, Zimbardo wanted to explore the psychology of how social roles influence our behavior, so he worked with students and assigned them to roles in a prison where one group of participants were guards (with power) and another group of participants where assigned as prisoners (without power). After a few days, the situation grew so brutal between the guards and the prisoners that Zimbardo had to shut down the experiment, showing that social roles can influence behavior. Although there are many more experiments in the history of psychology that are important, these three are a sample of what psychologists have been able to achieve, showing that psychology is not merely a pseudoscience, but a real science that yields experimental results. Hart-Davis, A. (2015). Pavlov’s Dogs: Groundbreaking Experiments in Psychology. Metro Books, New York, NY.